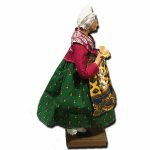 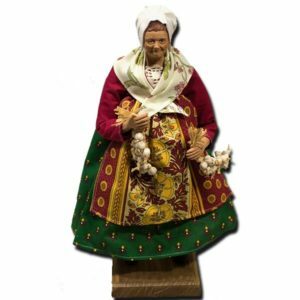 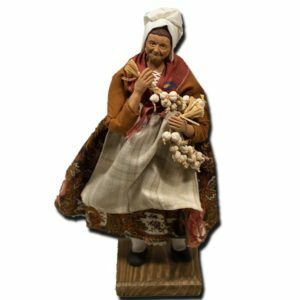 Our Woman with Garlic and Pink Shawl French Santons are hand crafted in Provence. 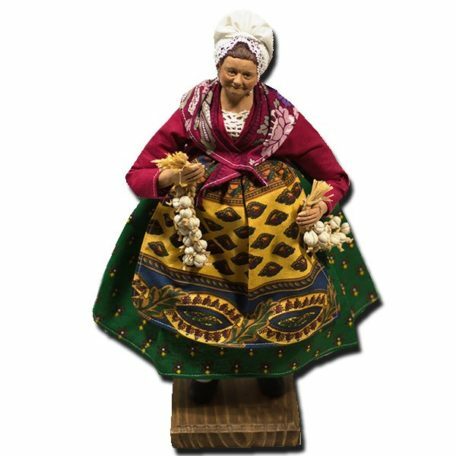 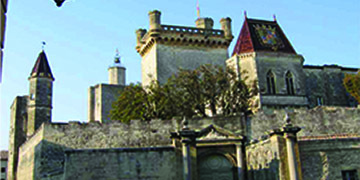 They represent traditional Provencal characters of people carrying fresh products produce, bread, chicken, etc.. from the market to their home. 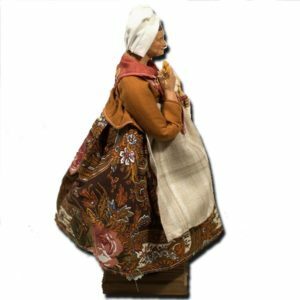 They are all carefully hand made with clay and painted by hand one by one with real life details. 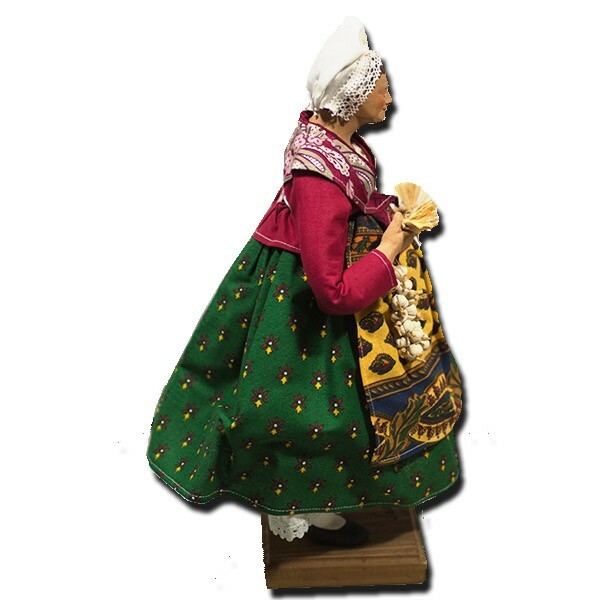 All objects that our Santons carry are replicas from real objects and scaled down. 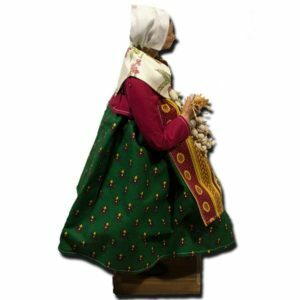 All of our Santons are 12” height by 6” width and stand on an Oak Solid Wood Base.